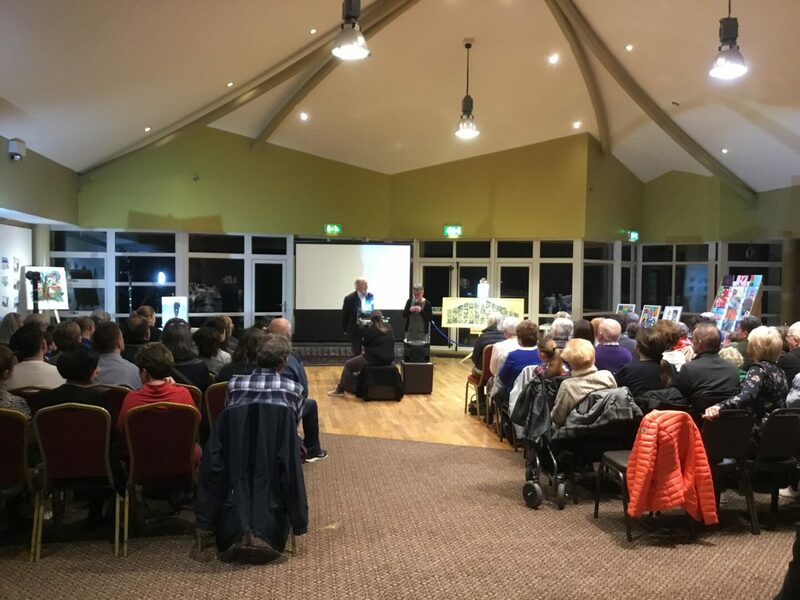 On Thursday night as part of the Michael J Murphy Winter School, Schools’ events, 21 families from the participating schools presented their mini documentaries telling of life in the past, here at the Foot of Slieve Gullion. Following in the footsteps of Michael J himself, pupils interviewed parents and grandparents, dug out implements from the past and raided photo albums to create their I Movies telling of their families’ lives in the area and their struggles to survive. We heard stories of smuggling, pavving and even of an arrest from the altar! Local journalist and broadcaster Eamonn Mallie kindly acted as compere for the evening and entertained everyone with stories from his own childhood and read his own poetry based upon his early home life. He was extremely impressed with pupils’ work and spoke words of encouragement to all present on the night. There will be a second showing (date to be confirmed), if you would like to see the films for yourself and DVD’s will be available for purchase…they’d make a lovely Christmas gift for family near and far.